Ken Burns turns his story telling chops to this two-part documentary about the life of the legendary Jackie Robinson, the first African American to play in the Major Leagues. The film is a great piece of Americana. “Jackie Robinson” debates on Monday, April 11, on PBS. The finale will air on Tuesday, April 12. 10-part series about five childhood friends who are haunted by a mistake that landed them in a reform-school-from-hell as teens. 20 years later, a chance encounter sets them on a course of revenge. 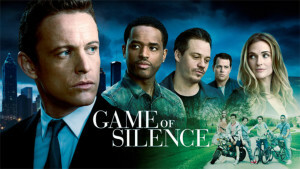 “Game of Silence” suffers from a lack of originality at times, but it makes up for it with a taut and engrossing script. Tuesday, April 12, NBC. Pro volleyballer Gabrielle Reece hosts this new fitness competition, courtesy of producer Sylvester Stallone. The show is not just focusing on fitness, but toughness as well. 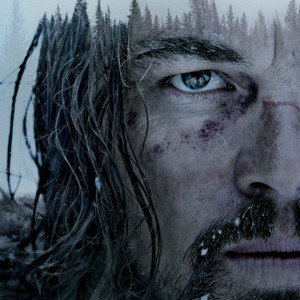 So expect a more rugged (and hopefully dramatic) affair. “Strong” debuts on Wednesday, April 13, on NBC. One of TV’s quirkiest (and best shows) returns for another year. 30-year old Kimmy, played adorably by Ellie Kemper, must navigate the world of New York City after spending most of her life held captive by a doomsday cult. “Unbreakable Kimmy Schmidt” nabbed seven Emmy nominations for its inaugural season, so binge watch season one if you haven’t – and enjoy another dose of Kimmy when all episodes of season two drop on Friday, April 15, on Netflix. HBO’s fictionalized take of the 1991 Clarence Thomas Supreme Court hearing. Wendell Pierce plays Thomas, while Kerry Washington stars as Anita Hill, the woman who claims he sexually harassed her. “Confirmation” debuts on Saturday, April 16, on HBO. Drama about a mysterious and deadly virus that sweeps through Atlanta resulting in a mass urban quarantine that threatens to tear the city apart. Tuesday, April 19, The CW. Intense spy thriller starring Tom Hiddleston as a man recruited to infiltrate an international arms dealer’s network. Hugh Laurie co-stars. This six-part series is adapted from the John le Carré novel of the same name. “The Night Manager” debuts on Tuesday, April 19, on AMC. Is Jon Snow really dead? Can Dany free herself and reunite with her growing dragons? Just who is control in Kings Landing? Find out with the return of one of the best hours of drama and action on television. Season six kicks off on Sunday, April 24, on HBO. “Full Frontal With Samantha Bee” has been extended for a full 26 episodes for this year by TBS. Expect the well-received talk show to be renewed for another season. Sookie is coming back! Melissa McCarthy has agreed to reprise her role as Sookie St. James on Netflix’s “Gilmore Girls” revival. Fox has renewed newcomers “Rosewood” and “Lucifer” for second seasons. HBO will produce an adaptation of Gillian Flynn’s novel “Sharp Objects.” Amy Adams will star as a journalist who returns to her hometown to report on a series of murders. Full Frontal with Samantha Bee: Turner Broadcasting System, Inc.